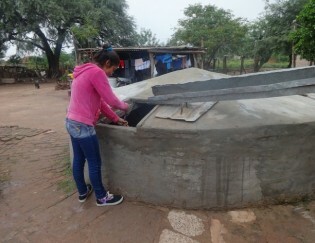 In a semiarid region in the northeast Argentine province of Chaco, small farmers have adopted a simple technique to ensure a steady water supply during times of drought: they harvest the rain and store it in tanks, as part of a climate change adaptation project. Four years ago, Cinthia Padilla, who is now 16, learned how to use a computer in order to teach children, adolescents and adults in this isolated fishing village in northern Honduras how to use technology to better their lives. The traditions of Argentina’s gauchos or cowboys have joined together with modern agricultural technology in a unique alliance between stockbreeders and environmentalists aimed at preserving biodiversity in the pampas, boosting productivity, and enhancing the flavour of this South America’s country’s famous beef. Summers in northeast Argentina are hot and humid. At siesta time, the people of this rural municipality like to drink “tereré” (cold yerba mate), which until now they had problems preparing because of lack of clean water or electricity. But sometimes small donations can make a big dent in inequality. Ruth Spencer, a solar energy pioneer in Antigua and Barbuda, says small non-governmental organisations (NGOs) have a crucial role to play in “the big projects” aimed at tackling the problems caused by the burning of fossil fuels, such as coal, oil and gas. Latin America is not taking the new global agreement to limit mercury emissions seriously: the hazardous metal is still widely used and smuggled in artisanal gold mining and is released by the fossil fuel industry.